From The Ground Up examines dominant ideologies, solitude and vulnerability informed by his previous upbringing in Communist China and life in Hong Kong in efforts to determine his current personal and social identity. 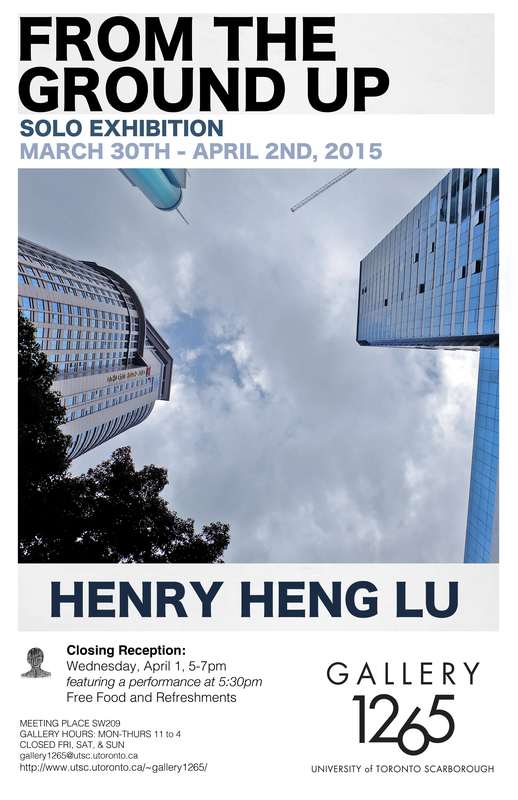 Lu’s premier solo exhibition features photography, sculpture, performance and video questioning traditional conventions of social endeavors and value while exploring the psychological consequences of cultural displacement. In his interdisciplinary practice, Lu conducts counter-narratives as an act to document and reconnect with the identities of Chinese population that have migrated to Canada. These works emphasize Lu’s ongoing discomfort confronting a reality perceived by his complex past. 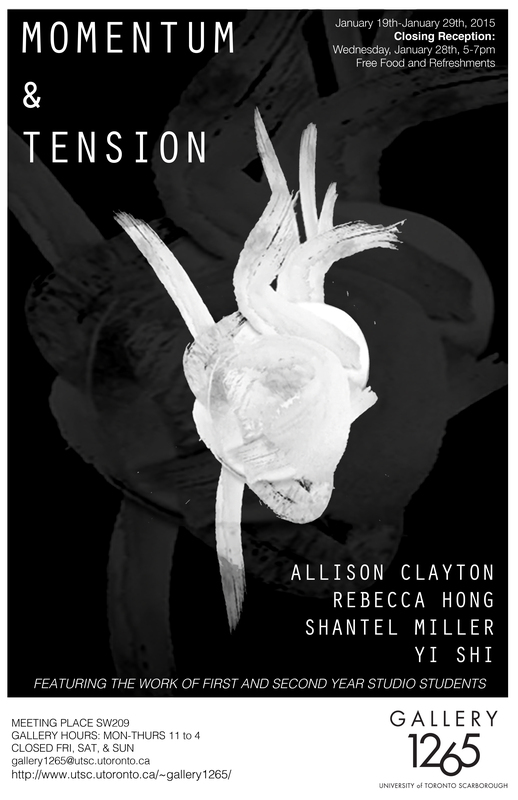 Momentum & Tension inspires contemplation about powerful contemporary issues through traditional and digital mediums. Through their collection of works, four artists explore key themes of personal struggle, identity, power, and relationships. The works made by these artists express the different ways in which these themes have been woven into their personality. 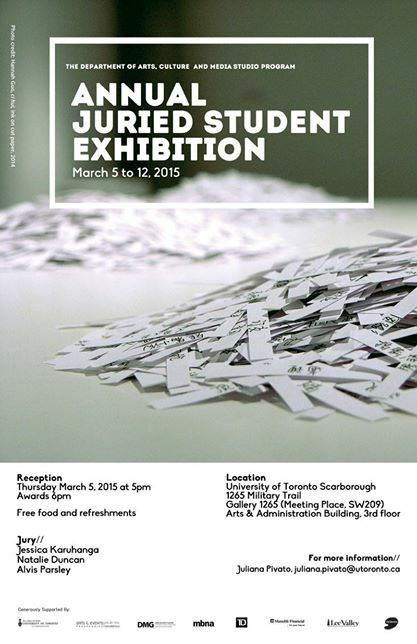 The subject of each piece is accessible and engaging to a large audience. Momentum and Tension makes use of sound, film, animation, drawing and painting art practices to build on a larger conversation or create a strong emotional experience through emphasis. 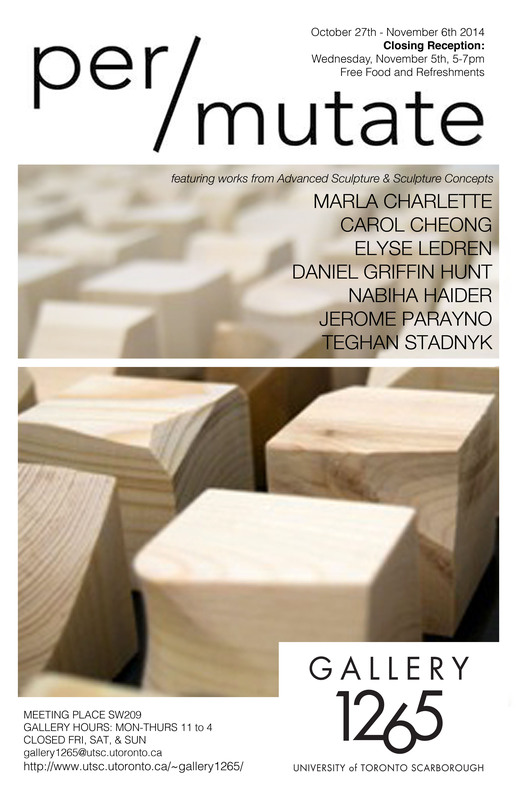 Each work presents a new angle examine the idea of momentum and tension, and collectively this show embodies the spirit of questioning and inquiry about the existing. 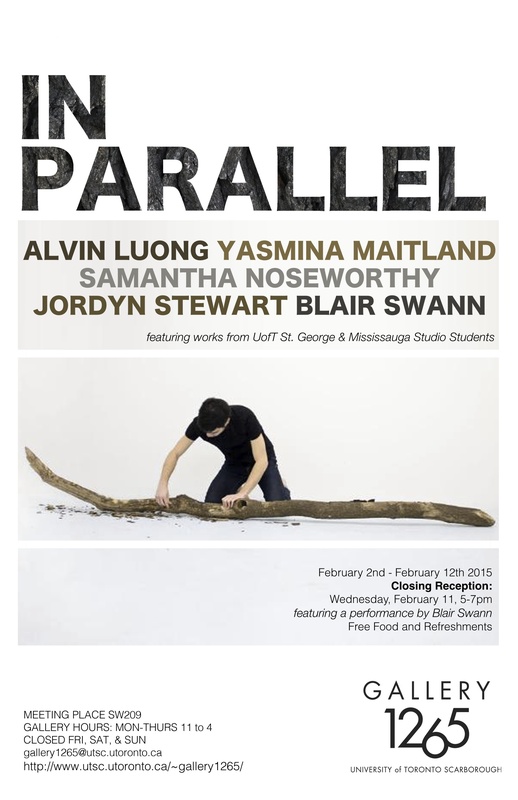 The artists featured in Momentum & Tension are students that come from different backgrounds and are in their first or second year of arts-related studies at UTSC. 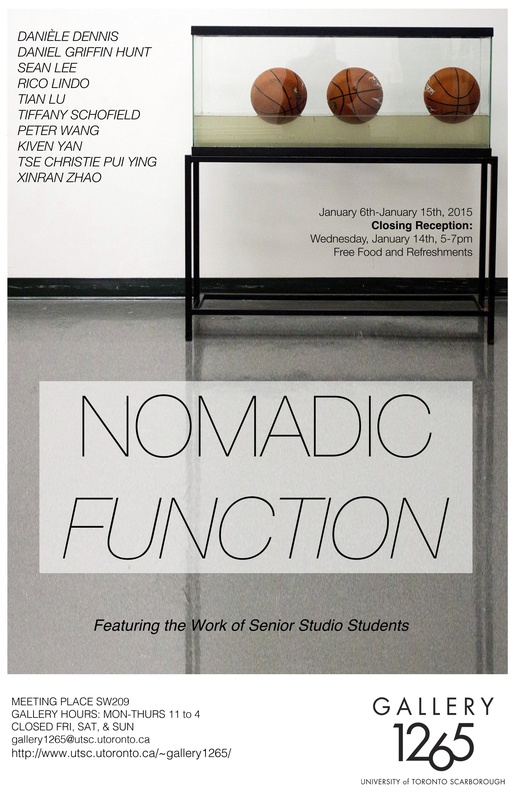 Nomadic Function serves as a landscape for navigating complex ideas with traditional forms. 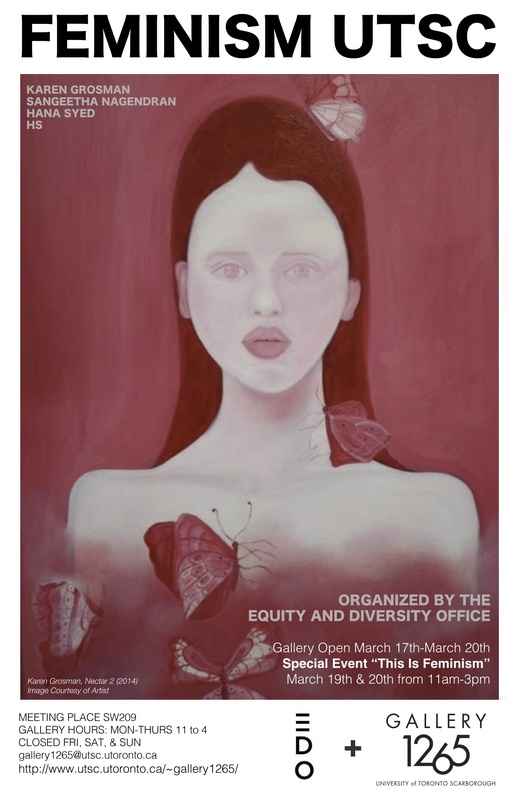 Artists depart from institutionalized constructs of meaning to address ideas concerning practices of migration within aspects of culture and society. 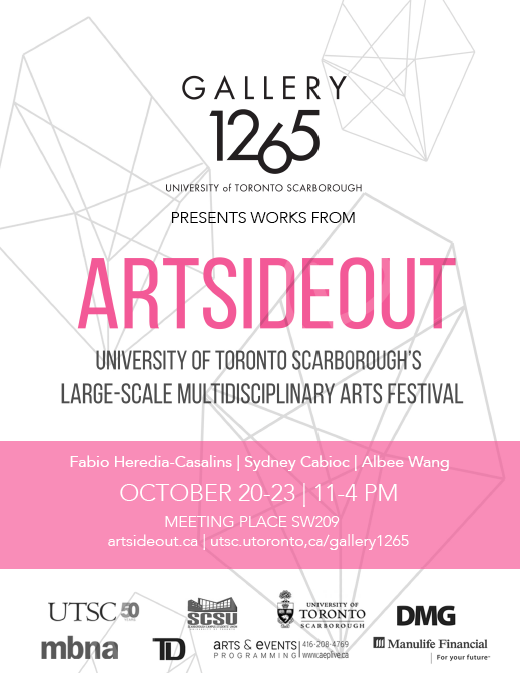 These works emerged from senior studio students at the University of Toronto Scarborough Campus participating in independent studies and time- based media topics. Collectively, the artists draw particular attention to the physical properties of their materials to explore cerebral ideas regarding time, space, simulation and memory. This process of prefabricating requires not only an understanding of designated functions intended for these objects but also the ability to imagine and recontextualize their roles for interpreting our modern world. Each work touches upon notions of re-appropriation through migration of thought and transmitted ideas. The artists decisions to manipulate fragmented material are essential to the work and serve as a passageway for revisiting conventional ideas from an alternative perspective. It is through these reconstructed meanings that each artist elevates our apprehension of materials and the significance of their context today. 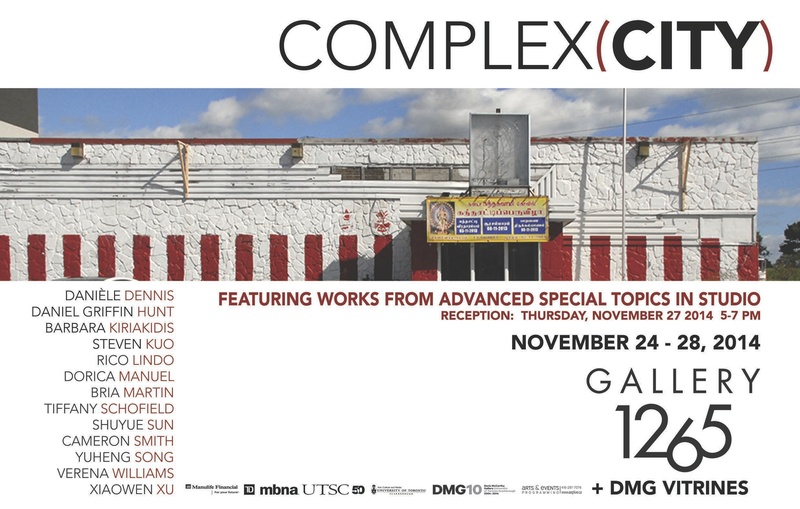 Featuring works from Advanced Special Topics in Studio! 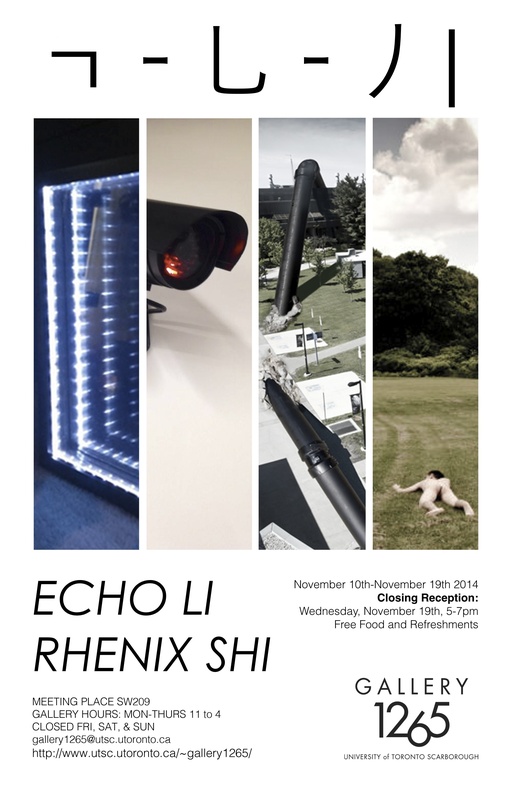 Featuring works by Echo Li and Rhenix Shi. ㄱ–乚–丿| is the breakdown of the Chinese character 异, which suggests weird, unusual, curious. When a security camera delivers signals to viewers directly; when pipes are neither above nor below ground; when paper planes are thrown to ourselves; artists decompose and compose time and space in the most eccentric sense. Together with the disintegration of the title, queer engagement with the artists’ works brings viewers to an unexplored dimension – 异次元. 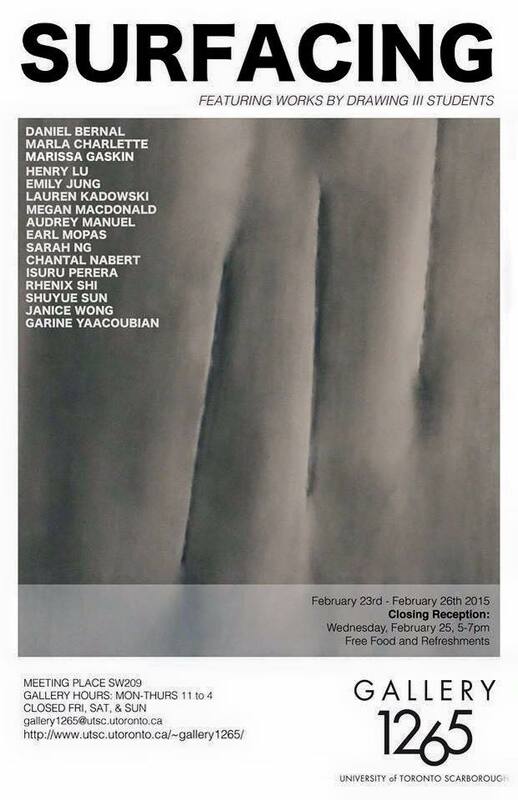 Featuring works from Sculpture Concepts & Advanced Sculpture by Daniel Griffin Hunt, Nabiha Haider, Marla Charlette, Teghan Stadnyk, Jerome Parayno, Elyse LeDren and Carol Cheong. per/mutate is a consideration of physical and conceptual shifting. In these sculptural works, familiar objects – from the wooden cube to the Kinder Surprise capsule – are modified or arranged in ways that expose or expand their potential for activation. Change is enacted through the alteration, ordering, and reordering of forms. Both abstract and specific relationships are proposed or constructed, revealing new possibilities for engagement. An extended run of video works from the festival.